The African Academy of Sciences and Royal Society announce the recipients of the FLAIR scheme that is awarding £25M, (£300,000 each) to 30 early career African research scientists. We are proud to announce that Dr Oluwaseyi Shorinola is one of the scientists that have been awarded £300,000 (Approx. US$400,000) over 2 years. Oluwaseyi’s FLAIR research fellowship will be carried out at the BecA-ILRI Hub. FLAIR (Future Leaders – African Independent Research) is a programme of The African Academy of Science and Royal Society, with support from the UK’s Global Challenges Research Fund (GCRF). The fellowship is designed to help talented early-career researchers, whose science is focused on the needs of the continent, establish independent careers in African institutions and ultimately, their own research groups. Up to 30 FLAIR fellowships will be awarded in 2019 to researchers from Cameroon, Nigeria, Rwanda, South Africa and Zimbabwe. Dr Shorinola has a pre-existing relationship with the BecA-ILRI Hub, where he was on secondment as a post-doctoral scientist from the John Innes Centre (JIC), UK. His post-doctoral work focused on understanding the genetic control of important economic traits in wheat including grain quality and root development. He is using a combination of mutational genomics approaches, high-throughput phenotyping, next-generation sequencing and classical genetics to identify genes involved in grain quality traits and root development and will deploy these to develop improved wheat varieties. He is additionally involved in the ACACIA (acaciaafrica.org) partnership – a strategic partnership between JIC and the BecA-ILRIHub. Under this partnership, Oluwaseyi is coordinating an extensive 2-year bioinformatics training programme to building a support network for agricultural research in Africa. 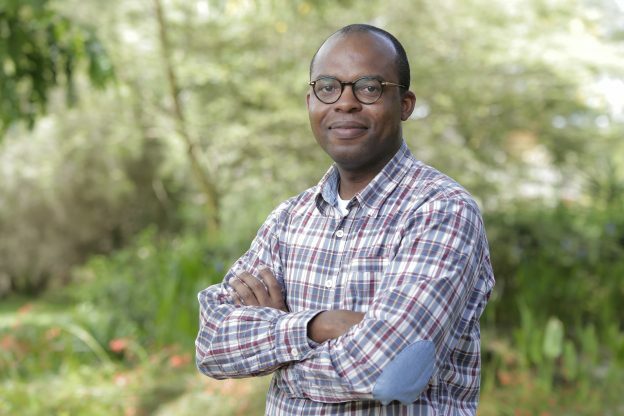 His research as a FLAIR fellow at BecA-ILRI Hub will focus on using genetics to improve the yield and quality of wheat production in East Africa. Olywayesi will particularly focus on using “speed” breeding to introduce five beneficial genes for grain size, protein content and disease resistance into East Africa wheat.